SN4634/3BIS/UI (Point-to-Point and Point-to-Multipoint) Smartnode 3 BRI VoIP IAD - 4 VoIP Call, Passthrough Relay; H.323 and SIP, Internal UI Power. 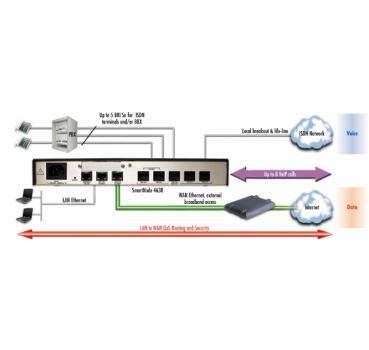 The award-winning SmartNode 4630, with up to 5 BRI ports and 8 simultaneous voice channels, is the best way to connect ISDN networks to the world of voice over IP. 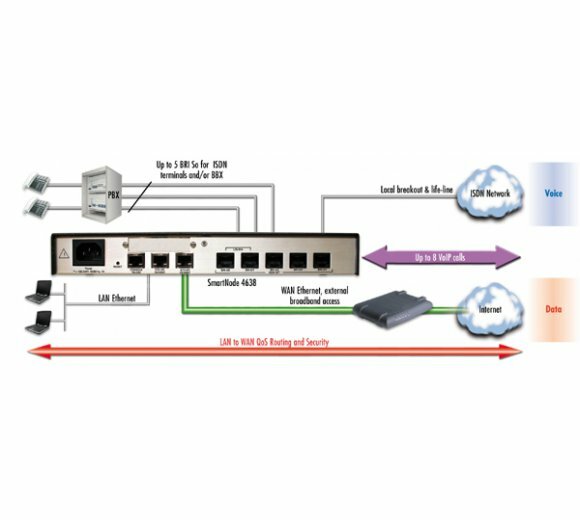 It enables small offices/remote offices to lower communication costs and provides business-class Internet telephony for demanding ISDN users. 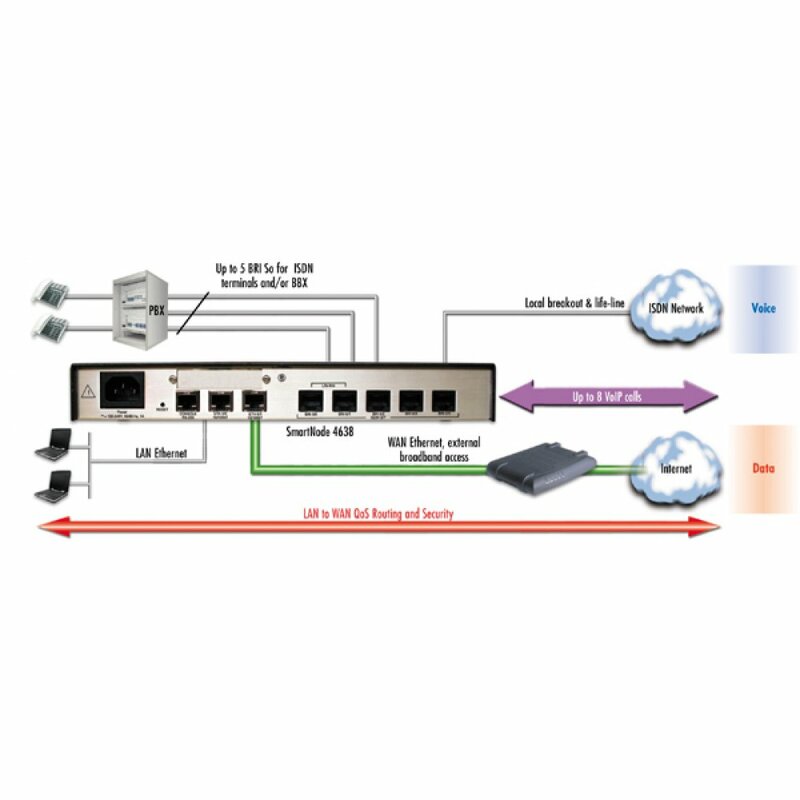 Whether used as a gateway or as an access router, the SmartNode 4630 provides excellent VoIP and IP QoS features for seamless network integration. 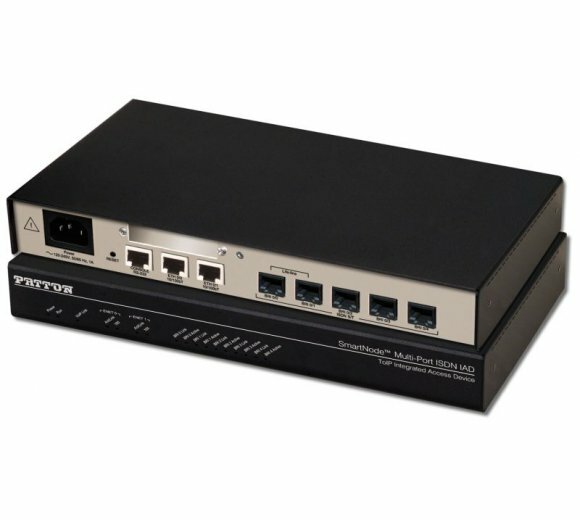 All BRI ports are configurable to be TE or NT, you can thus connect your telco line(s) as well as a PBX or ISDN terminals. Terminals are powered with the built-in power supply, eliminating the need for an external box. For business class IP telephony at the tip of your fingers, the SmartNode 4630 is more than just talk!